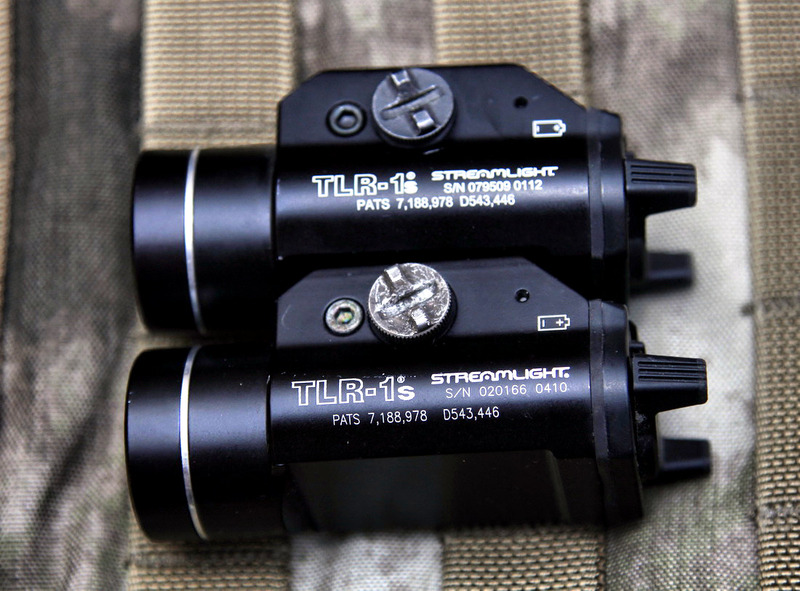 According to the fact sheet for the TLR1s is constructed out of 6000 Series machined aircraft aluminum, features a C4® LED technology, impervious to shock with a 50,000 hour lifetime and weighs in at 4.18 oz with batteries. I bought it from Amazon for around $100, for both of mine. 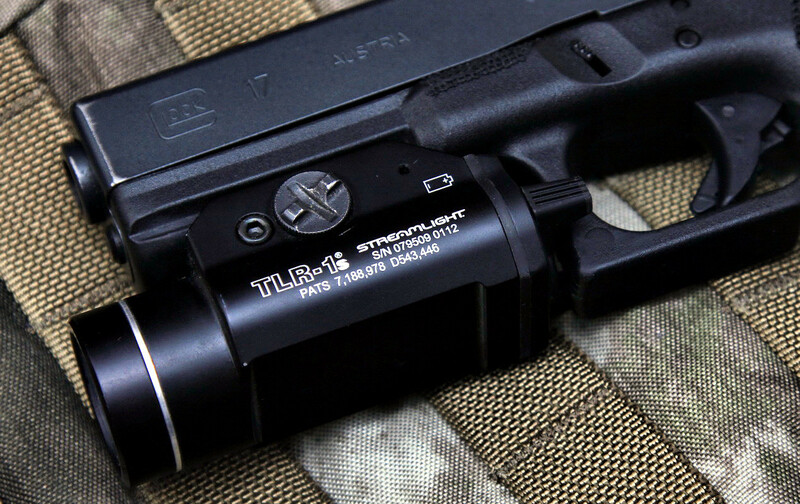 I originally purchased a TLR1s for duty work to attach to my Glock at work, I had an Insight WX150 that I had on a home defense pistol and figured it was time to purchase a good rated light for duty work, this was about 3-5 years ago, I do not recall exactly when. 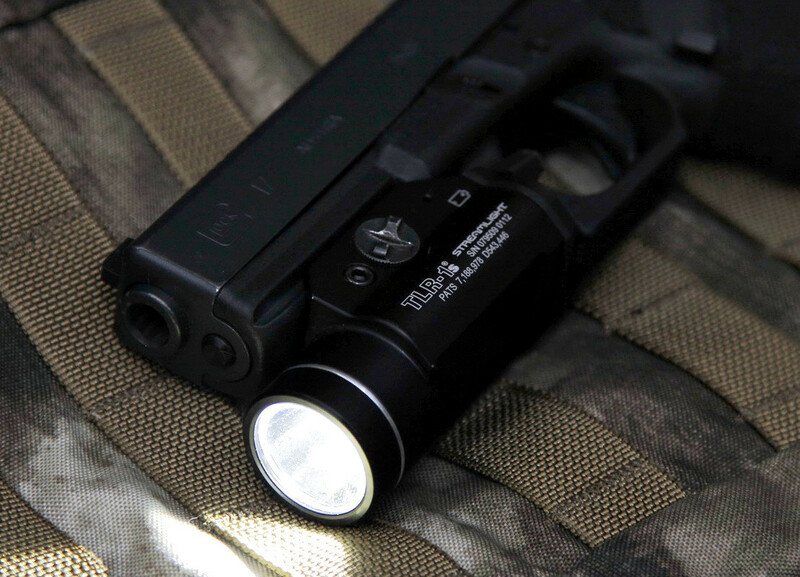 Specifically chose the TLR1s because I carried a Streamlight which I was issued in the academy and it worked well enough that I figured I couldn't go wrong with it. The metal construction and it was half the price of the x300 (at the time), the shorter size won out as well. In the package you get a bunch of different rail mounting plastic pieces. In the picture above you see the "GL" labeled plastic piece, which is for a Glock, but it fits Picatinny rails just fine. At the time I did not care too much about the batteries took (3v CR123a) as I bought some rechargeable batteries, you can shop around and find a pretty good deal. The best part of having them was that I had a dozen or so with me (in my bag) so if the light died I could always swapped them out quickly. With a new set of batteries (non-rechargeable) the light will work continuously for around two hours, and with rechargeable (at 3.6v) it will work for about an hour and forty-five minutes. You might wonder why so little, considering the fact that it pushes out around 300 lumens consistently for as long as you have the light on is not that bad. Also, if you are having this light on non-stop for more than a few seconds you might be doing something wrong (unless you are training, in which case live and learn). 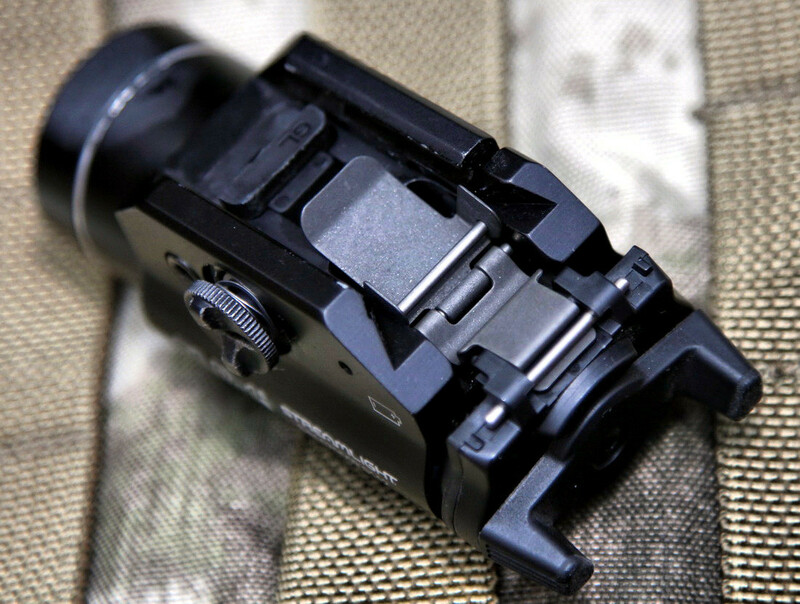 The build quality is what makes the TLR1s unique. 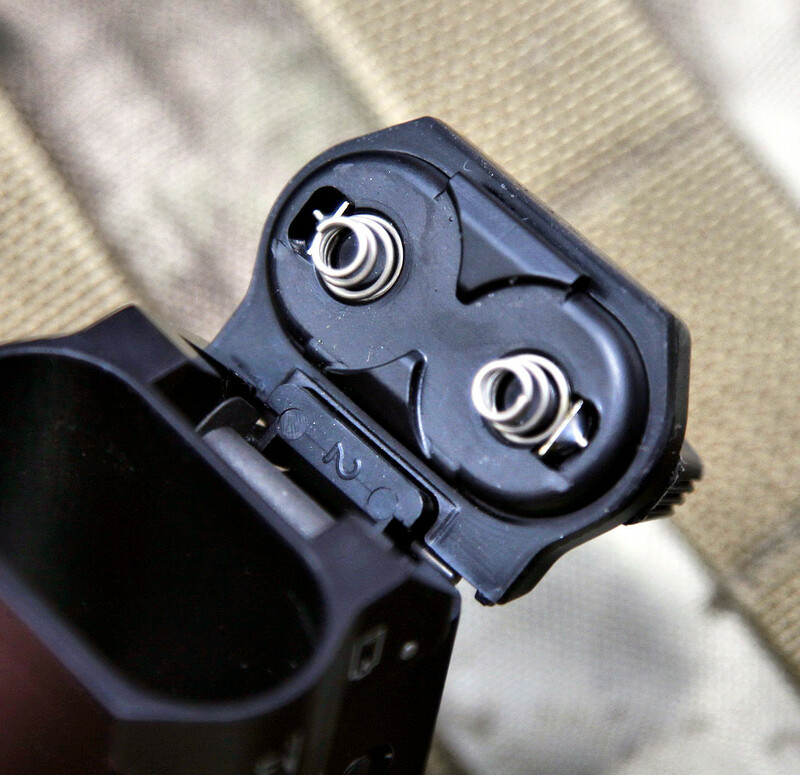 Putting it on a Glock or a rail of a rifle is cake, you loosen then metal locking spring assisted screw, snap it on, then tighten it down, you can use a quarter to torque it and then you have a mounted light, much easier than some of the other rail mounted lights. 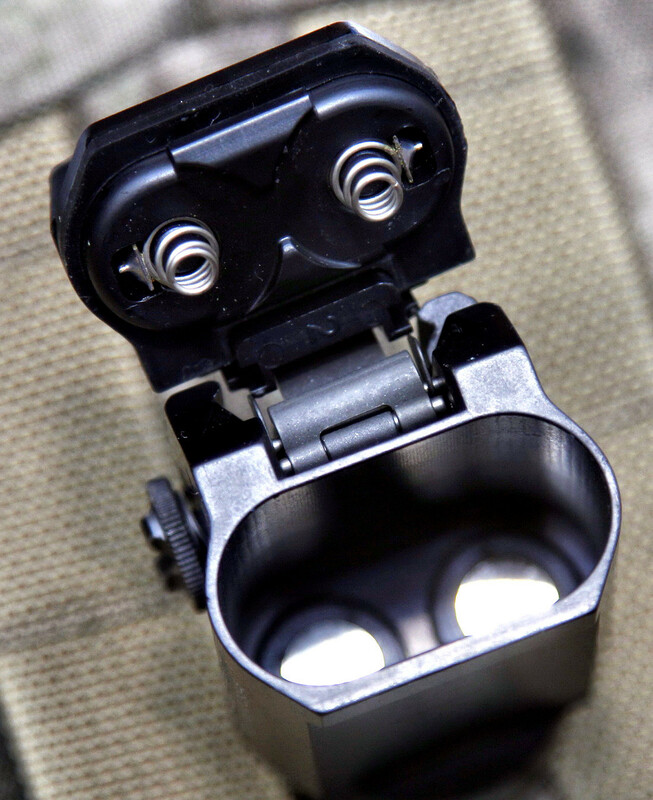 The case of the flashlight is very solid, and Streamlight does not skimp on making the little aspects of the light that complete the flashlight. 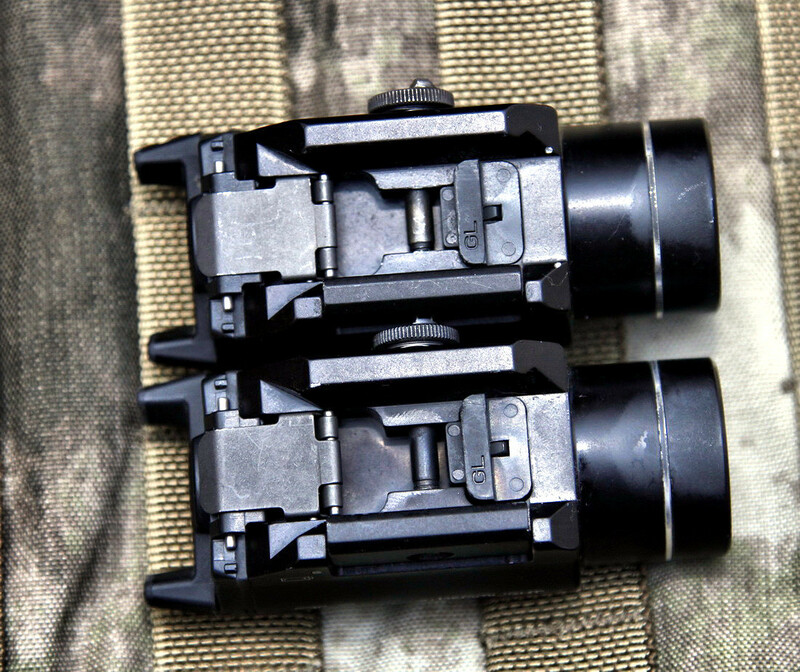 The front glass of the TLR1s unscrews in its enclosure and at the end of those screws is a rubber gasket to help keep water out of the electronic bits. Inside TLR1s there is a C4 LED. 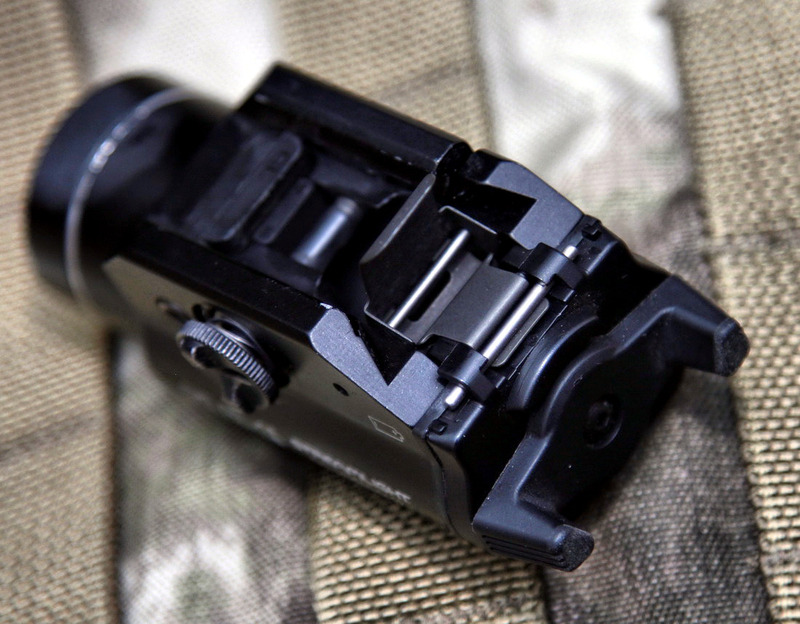 The plastic switch is the one of the only plastic pieces in the TLR1s. It is pretty sturdy and did not, in my usage move or break. 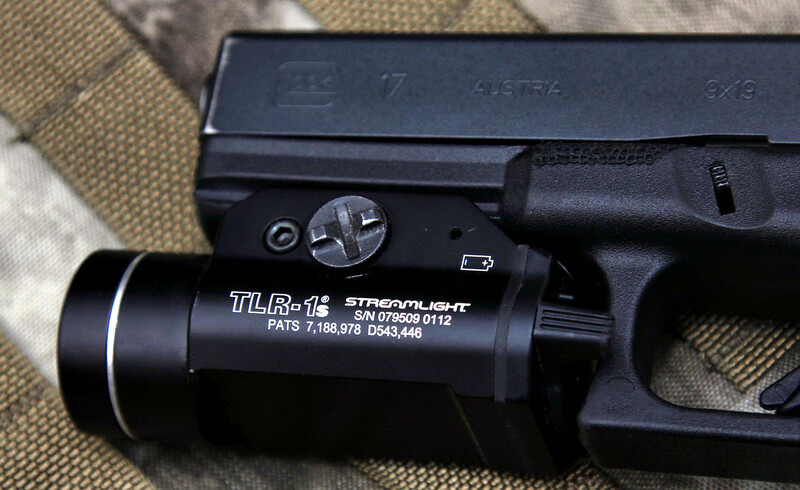 I carried a my Gen4 G19 with the TLR1s mounted on it in a STG Light Holster for a little less than two years. I also carried it on my duty G21 in a Safariland 6360 holster. I rarely had issues with the light itself, other than a broken glass front after a not to pleasant impact. But it worked still, Streamlight charged me $36 and a few weeks to replace it, during that time I purchased a new TLR1s (you can see the difference in serial #'s and lettering position in the picture, newer version on top). Battery changes are pretty easy, as straight forward as it can be. The metal tab on the back is pushed up. Then its folded as flat at it will go, pushing the rear battery cover open. Once that happens you can pop the rear cover off, it has a latch catch on the bottom of the battery cap, pushing it up removes the cap and allows access to the batteries. Changing the batteries takes about 5 seconds, and I had about three to four weeks of use out of a pair of batteries on duty. Above is a very bad quality video I took quickly with my cell phone at a distance of about 10 feet. (I am going to take a better video later on) You can see that there is a solid beam of light surrounded by a sort of transparent (if you can imagine white light being transparent). 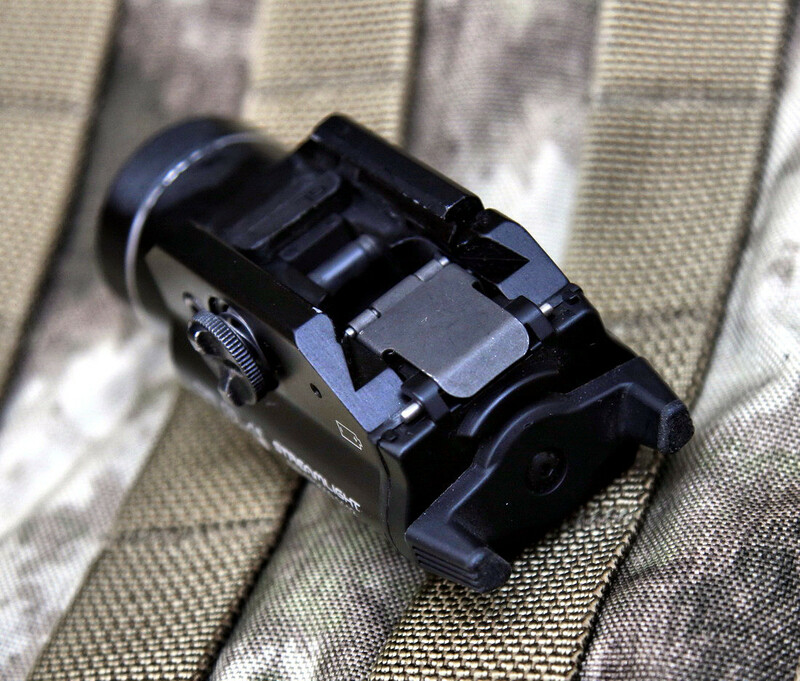 This helps in pinpoint tactical applications of a firearm as well as adding to a tactical "aura" of sorts. It has been mounted to my G19 for a few years and has seen well over 10,000 rounds of pistol and rifle. 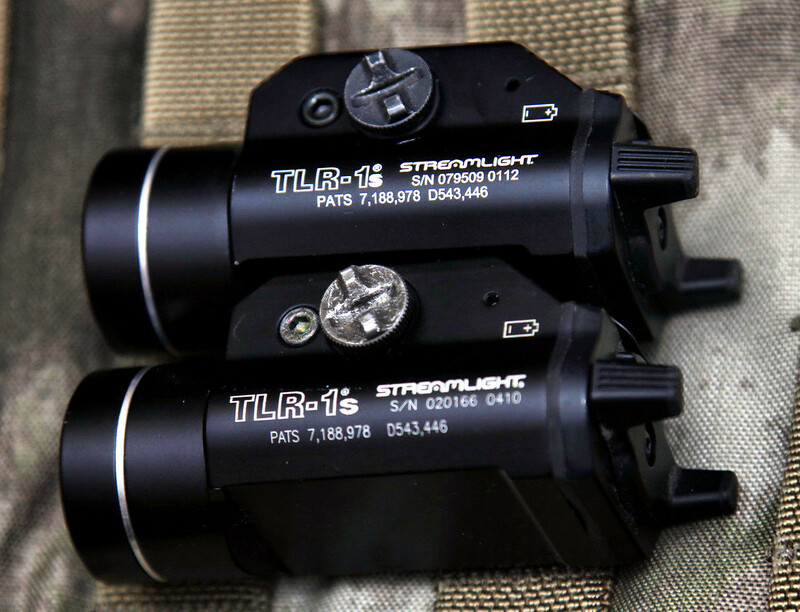 The TLR1s has the ability to have momentary on, constant on, strobe momentary and strobe constant on. I have never used my trigger finger to actuate the on/off, when using both hands to hold the pistol, I use my left hand thumb. 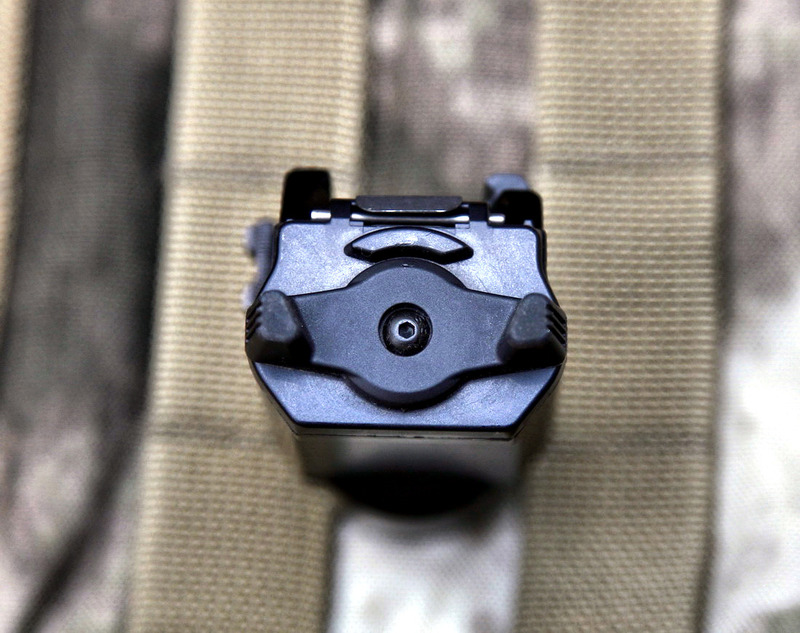 When utilizing the light with one finger, the trigger finger must be used. This is a very tricky situation, especially on duty, because the trigger finger is moving and the gun is not going off. Training is a must and I did hours of dry-fire and range-work to make sure I had the difference memorized into muscle memory. 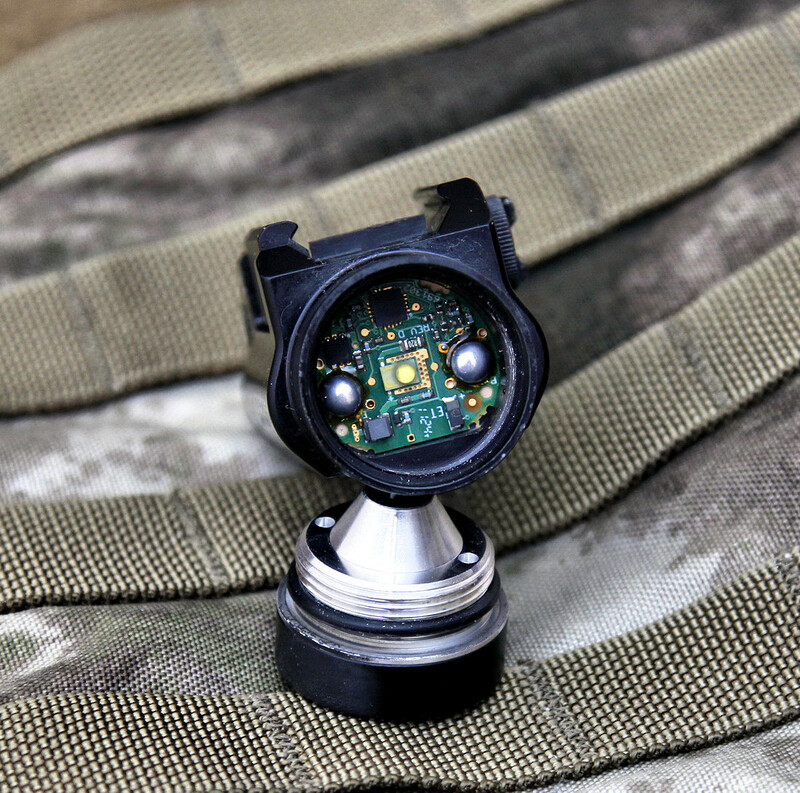 The strobe function is one that has a lot of controversy behind it, and the actuation of it is very subjective to how this light is applied to a tactical situation. 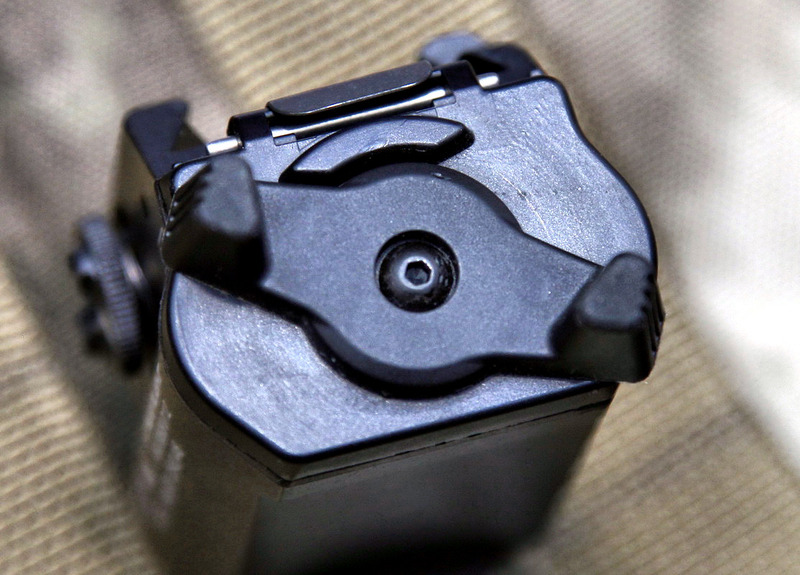 I have had instances where I would hold the momentary on of the TLR1s and discharged a round, having the strobe mode come on. This was fairly common if I kept the momentary on toggled but did not occur once I used the constant on. The above picture is the constant on setting for constant on light and constant strobe on. To initiate strobe the toggle requires a double-click of sorts, fairly easy to do with practice. What is the point of a strobe? Well I have used it on several occasions on duty, the results were always hands up to stop the light from hitting the targets eyes. This was always done on those who were suspected of having a firearm in their possession (and on a few instances those that were actually armed). 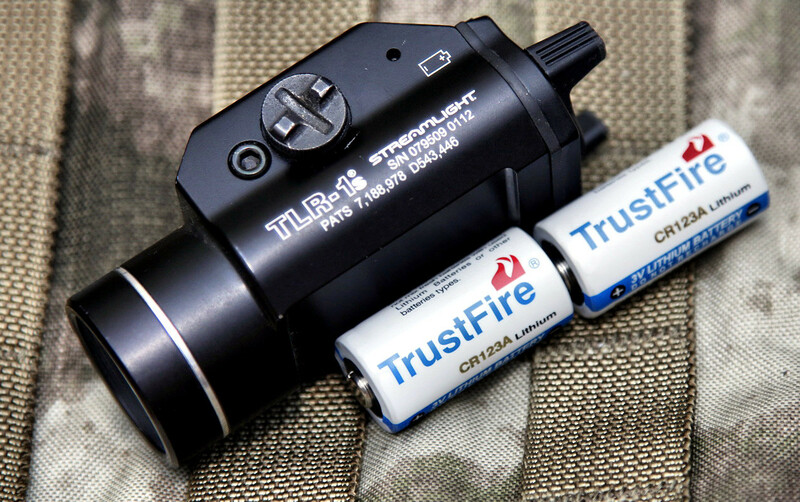 If you are in the market for a weapon/rail mounted flashlight, and you like the features of the TLR1s, do yourself a favor and purchase its successor, the TLR1 HL, which is a 600+ lumen powerhouse. The only issue I see it having is the battery life has dropped to about an hour, but with that type of output, I am not surprised. The difference in price, as of today, is about $20 and is well worth the extra change. I will be purchasing one. 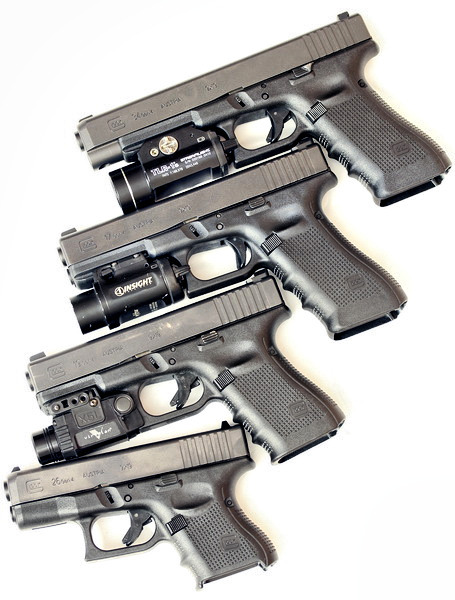 There is no reason to have a lower powered flashlight on any firearm when there is a higher output flashlight available. Furthermore, this light's greatest attribute is its size, strength and design. 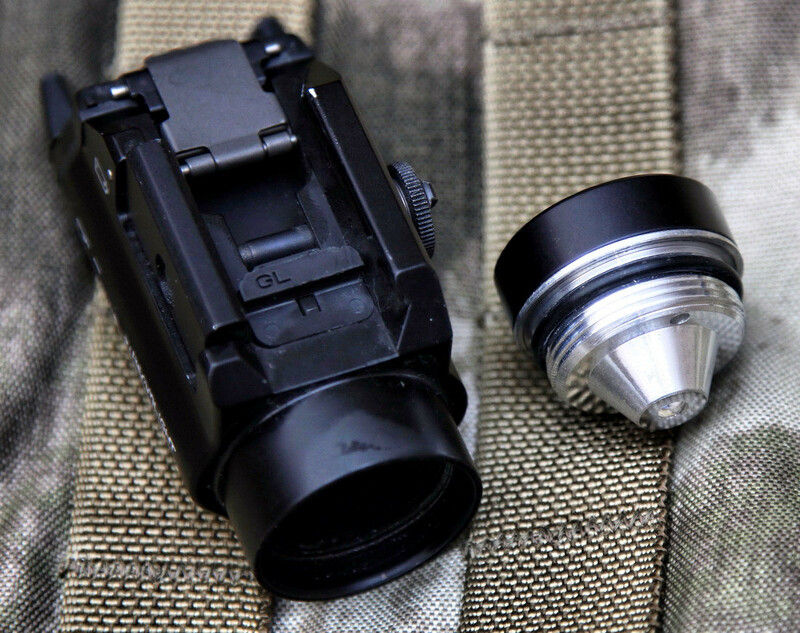 The light is very durable, and takes muzzle-blast very well. Some people put lip balm on the glass to help collect the muzzle-output for later easy clean up, I don't really do anything to that effect. On the range I usually just spit-shine the glass after use, unless I have used it for an extended period of time without cleaning the glass it will usually wipe off enough to be usable until I got a chance to clean it properly. The light has a few competitors, as you may have guessed, the Viridian X5L Gen2 replaced the TLR1s in my carry setup for a while, primarily because it offered similar lumen output as well as a green laser. 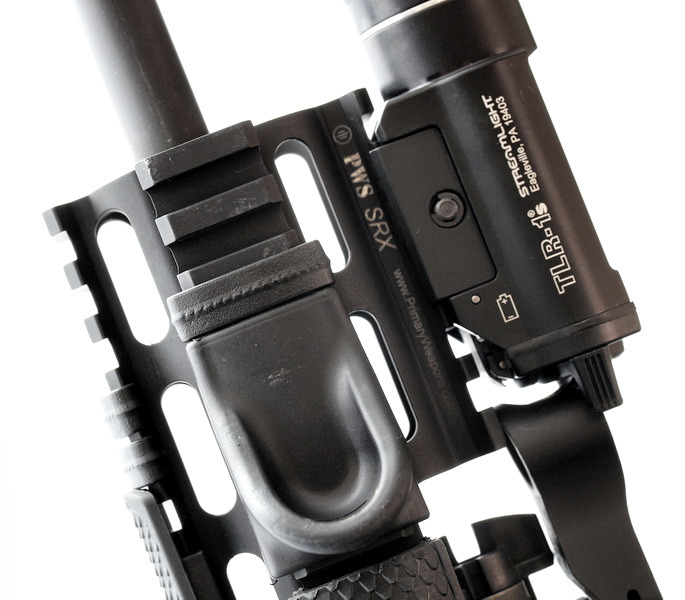 I will probably be reviewing it soon, but just wanted to give it an honorable mention as far as a "step up" from the standard rail mounted light system that the TLR1s offers. There are other systems out there that work just as well, though I have never used them in any length to be able to give any tangible review on, the Surefire X300 Ultra is a competitor to the TLR1 HL, and is pretty solid from what I have seen and have heard from those who use them. In the end it is about what you want out of the light system. 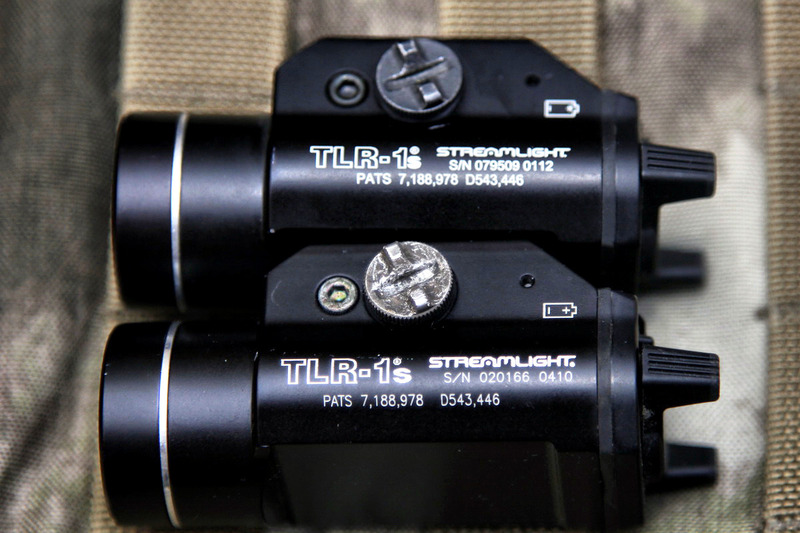 Another tidbit I would like to bring up is that the TLR1s has a lot of accessories available from Streamlight, so depending on your specific application of the light, you might need a grip activation add-on or red light filter. Either way, I would suggest taking a good hard look at this light (and/or the HL version) for use as it works without issue.